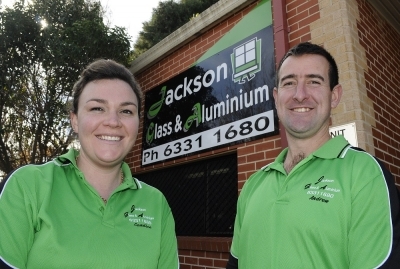 Candice & Andrew Falconer Owners of Jackson Glass & Aluminium. 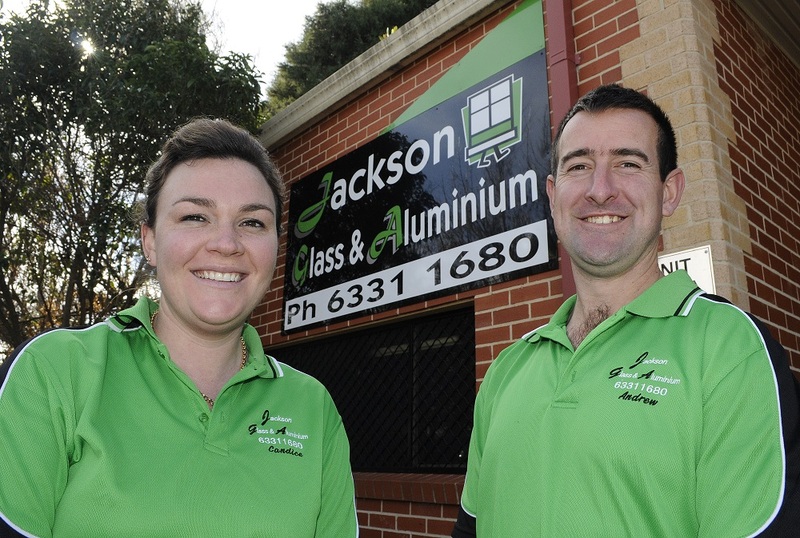 Jackson Glass and Aluminium is a local small, family glazing business, which has been trading since 2010. We are located in the trade centre behind the Indian Restaurant at Unit 5, 94a Bentinck St Bathurst. We are proud winners of five consecutive Business Awards and continue to grow our reputation for prompt, excellent, friendly, knowledge based service along with quality goods and competitive pricing. We reglaze residential & commercial windows; provide custom made shower screens; security door and window screens; make new or re-mesh existing fly screens; supply glass shelves; mirrors; replace glass in picture frames; and slow combustion fire doors; fit doggie doors; along with other incidental requests. To find out how we can help you further please give us a call on (02) 6331 1680.